At first sight Berlin seems to be an ultra-modern party destination, which has long ago forgotten its divided existence and stormy history. Night owls will feel at home amidst the numerous neon signs of the entertainment venues, while the architecture and design aficionados will find ateliers and galleries to meet their taste. 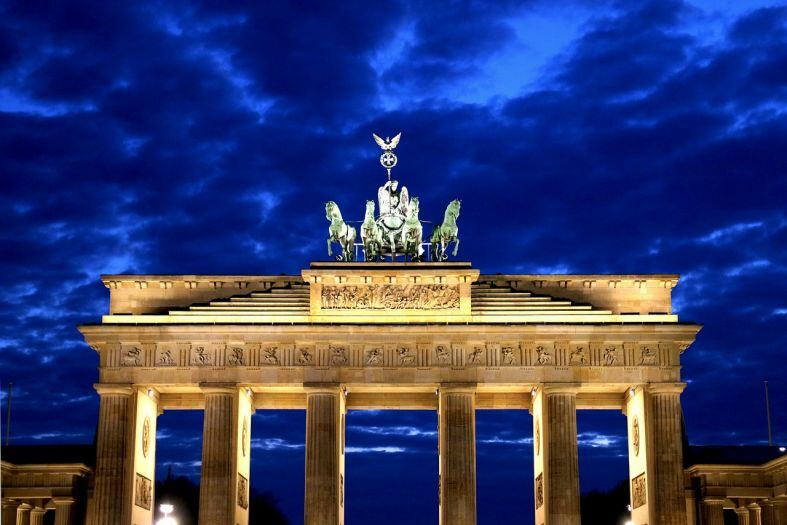 However, the truth is that here in the German capital, you are living in the history. In fact, the two faces of the city can really make a perfect combination. 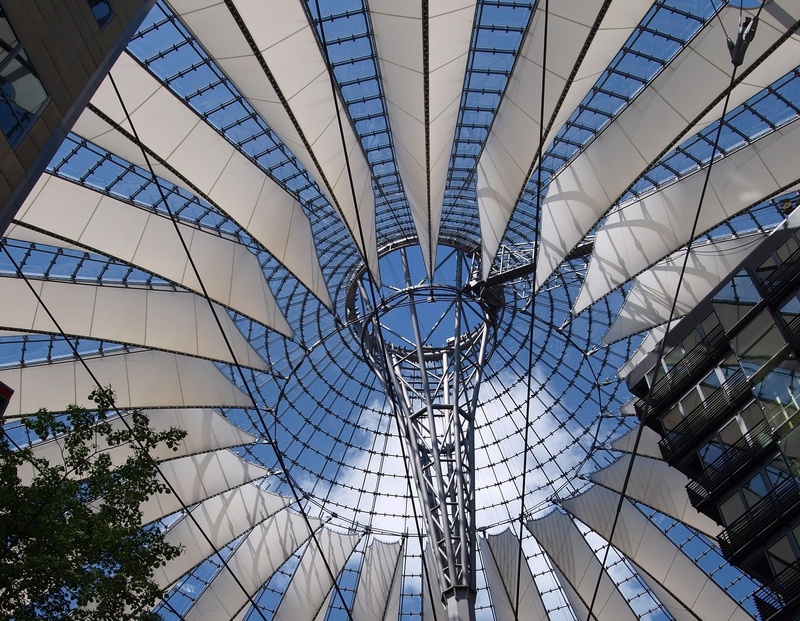 Alexanderplatz – Be a real Berliner and schedule a meeting in front of the fountain or under the clock at this square. The TV Tower is here, too. The clock shows the time in each time zone in the world. It has a specific construction and does not look like an ordinary clock. Under the World Time Clock you can see a model of the Solar System. It was built in 1969. At the Alexanderplatz square, you can also find modern trade centers, stores, cafes and restaurants. Natural History Museum (Museum für Naturkunde) – Dinosaurs, fossils, glass vessels storing thousands of fish species. Here you can learn about different stuffing and storing methods, see an exhibition dedicated to the universe and the Solar System, and get detailed information about our planet. You will be really impressed yet in the very first hall of the museum, which presents three huge dinosaur skeletons. There are also models of the planets, as well as of the Earth’s crust. Trabi-Safari – The emblematic Trabant car has not disappeared from the streets of Berlin, just on contrary, it became a fascinating means of transport that you can rent for the day. 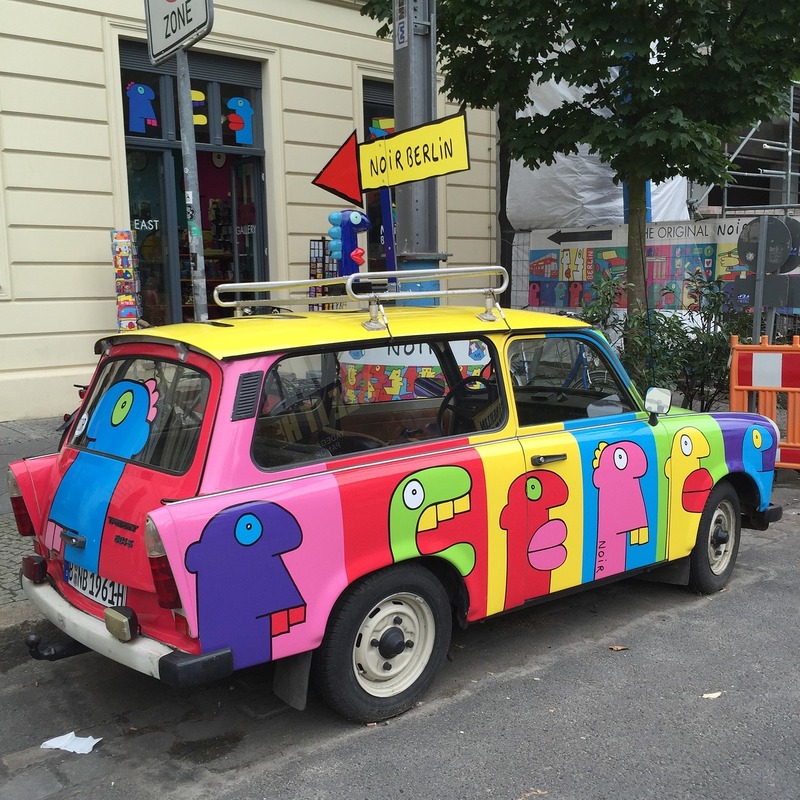 A trip through Berlin in a classic Trabant car, painted in pink, tiger prints, or any other funny color – a really exotic experience, indeed! Tiergarten – This is the biggest park in Berlin. The Berlin Zoo is sheltered here, as well as the President’s residence, the Potsdamer Platz, and the Victory Column. It is a perfect place for a picnic, to go jogging or roller-skating, or simply take a walk amidst the fresh greenery, flower paths and beautiful fountains. Berlin Zoo (Zoologischer Garten Berlin) – This is one of the biggest zoos in the world with around 15,000 different species! Giraffes, elephants, pandas, hippopotami, giant turtles, lions, and whatnot… You can even touch some, like the penguins, for instance. The zoo opened doors back in 1844, which titled it the oldest zoo in Germany. Gendarmenmarkt Square – Here you can find the German Cathedral (Deutscher Dom), the French Cathedral (Franzosischer Dom), and the Concert Hall (Konzerthaus), which form the architectural face of the square. 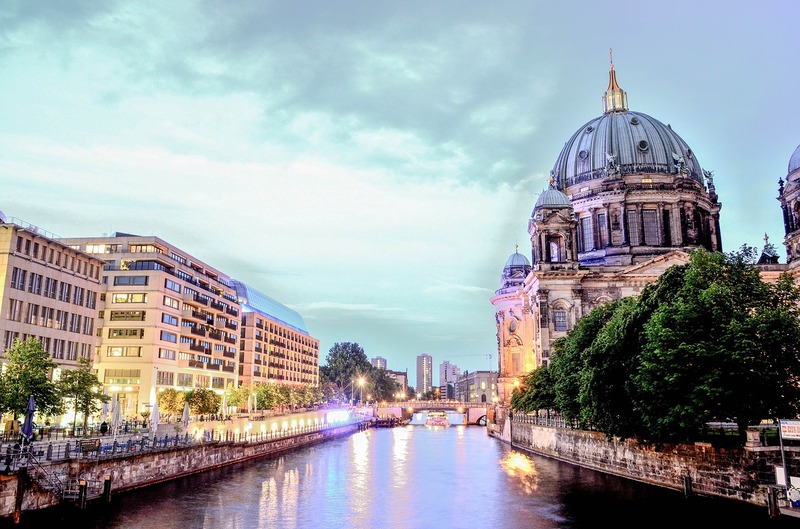 At the German Cathedral you can learn much about the German democracy, while at the French Cathedral you will get acquainted with the Huguenots, who sought asylum in Berlin. The Concert Hall is the home of Berlin’s symphony orchestra. It was built at the place of the former National Theatre, which was destroyed during the war. Hackesche Höfe – A complex of eight restored German buildings and their adjacent courtyards that are interconnected. Nowadays they are modernized and have turned into a center of fun and culture, as well as of residential and business premises. Hackesche Höfe shelters many entertainment and catering establishments, stores, restaurants, cinemas, galleries, residential and business institutions. Red City Hall (Rotes Rathaus) – This building’s name is inspired by the red bricks it is made of. On the top of its clock tower there is pole waving Berlin s flag with the bear, which is a symbol of the city. In front of the entrance to the City Hall you will see the Neptune Fountain. Sip Gluhwein Chritsmas punch – Want to warm yourself up while walking in the snow? 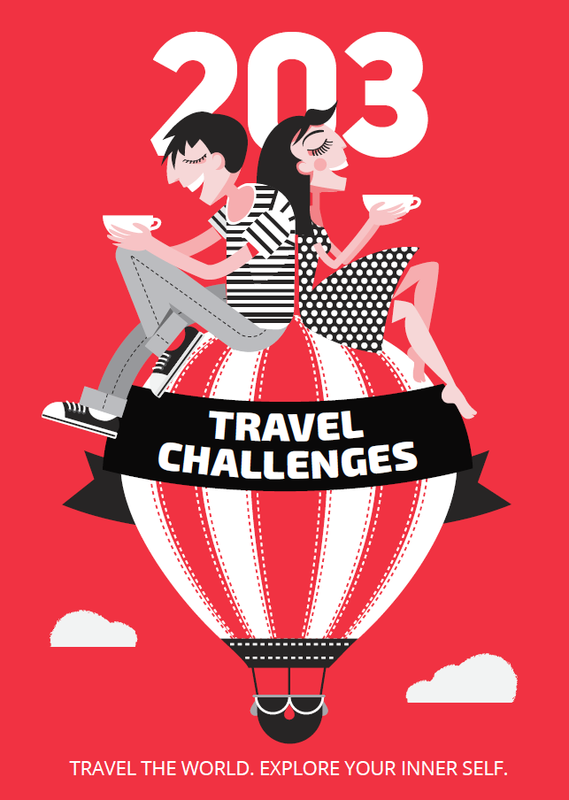 When in Berlin in December you should not miss trying this traditional drink, which is offered everywhere along the festively decorated streets and markets. Red wine, rum, orange juice, clove, cinnamon and black tea – this mixture will leave a sweet Christmas scent in your memory. Leberknödel soup (Leberködelsuppe) – This is one of the most popular soups in Germany – clear calf bouillon with calf s liver noodles. Hurry up and don t let it cool!